Termux is our favorite terminal emulator for Android. Yesterday, we saw, how to use Termux to download any video. And today, we’ll take a look at how you can use it to convert any video on android with FFmpeg. 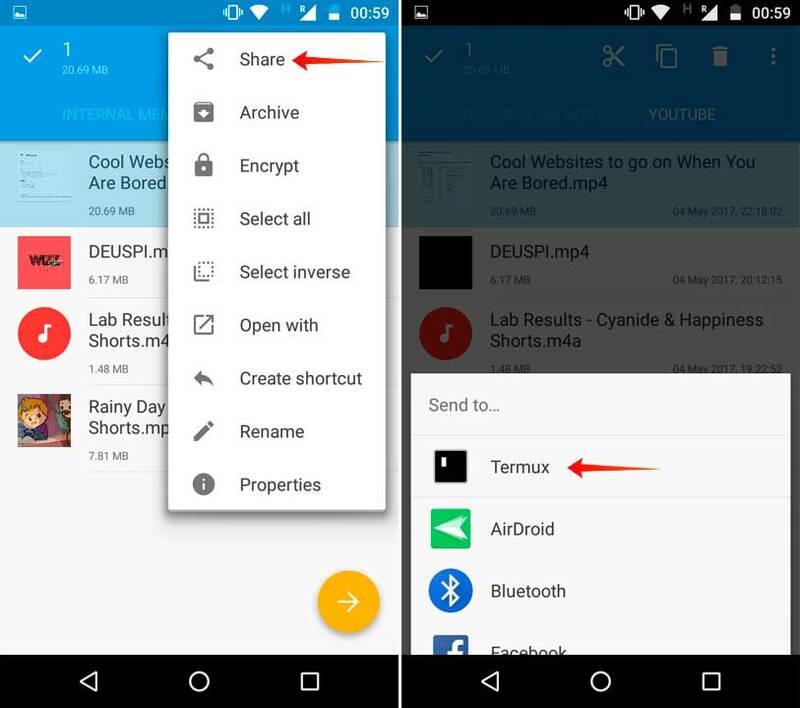 There is no real advantage of using Termux over Video Converter apps for Android that you can find on Google Play Store. Though, using terminal definitely look geeky and you can FFmpeg support 100s of video format and image. Again, thanks to Gabi Tiplea, for providing all the source code. This method should work along with our previous YouTube-dl library. 1. 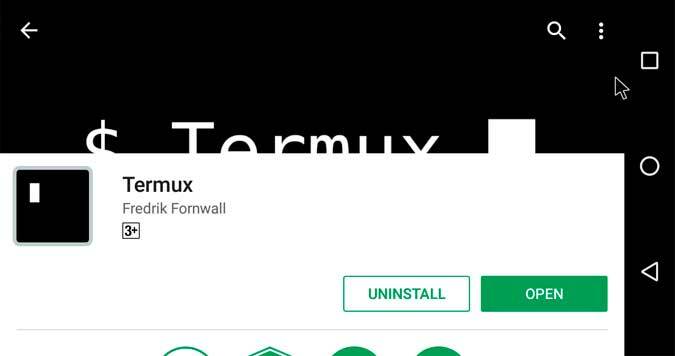 Go to play store and download the termux app. 3. Now go you file manager and select any video or audio file that you want to convert and then share it with Termux app. 4. 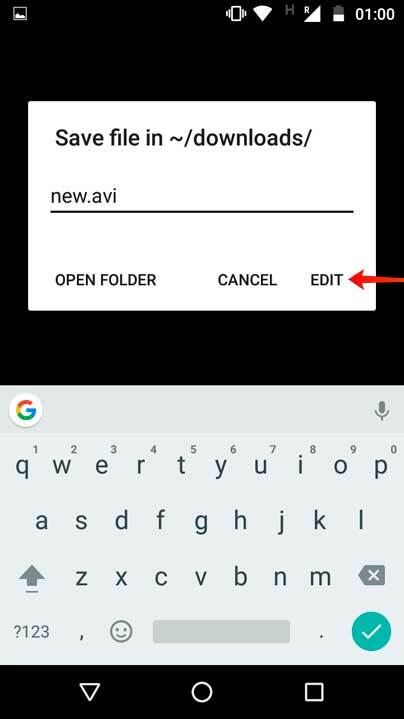 A popup box will open, enter the new file name and its extension and tap on Edit. 5. Termux will run series of commands. Once it’s done, it’ll prompt you to press the Enter key. Do that. 6. 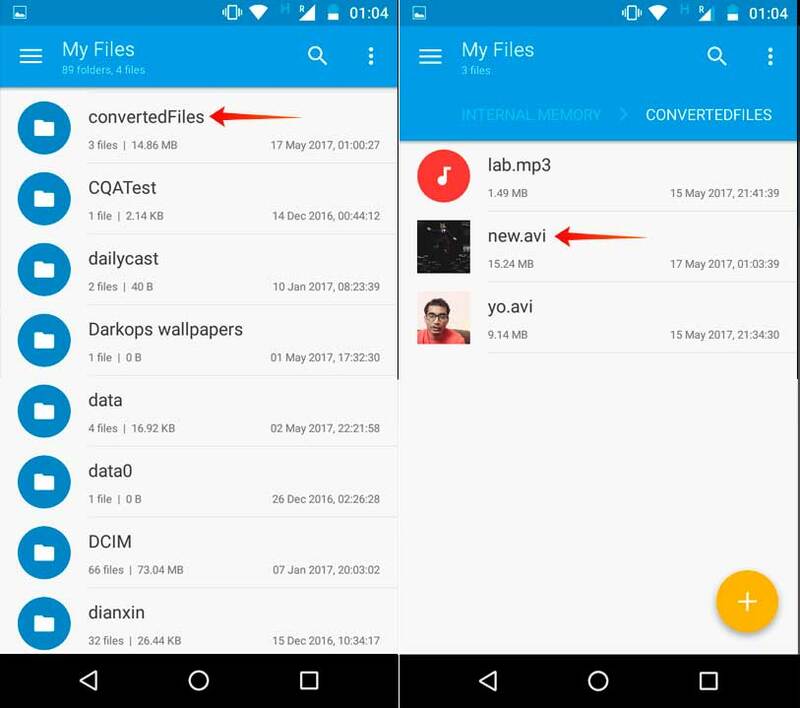 Now, go to the internal storage of your Android and look for the folder ConvertedFiles, open it and there you’ll find all your converted files. For this tutorial, we have only convert videos, but you can also build upon our code and use it join 2 clips, remove audio from video etc. Here are all the cool things you can do with FFmpeg. Here is the code for all those who are interested. echo -e "Creating bin directory\n"
echo -e "Creating convertedFiles directory\n"
echo -e "Downloading and installing termux-file-editor\n"
echo -e "Copyright 2017 Gabi Tiplea"